The fastest and most used online money making tactic is simply using a blog to push affiliate sales. Simple, fast to set up and only needing a certain level of tech skills. But there is still a learning curve! This is the curve that still holds back many people wanting to get into affiliate marketing. This plug-in removes all learning, all you need to get started is add this plug-in to a wordpress blog. And youre up and running! 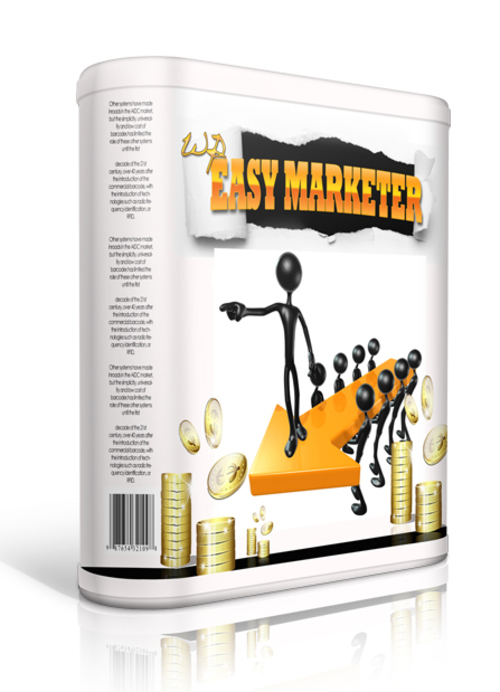 Wp Easy Marketer combines the ease of a Wordpress plugin with the selling power of Clickbank.. It's designed to allow anyone to start a internet marketing blog with content, and monetize it in around five minutes flat. Pro Marketer Wp Theme, Resell Rights Included!